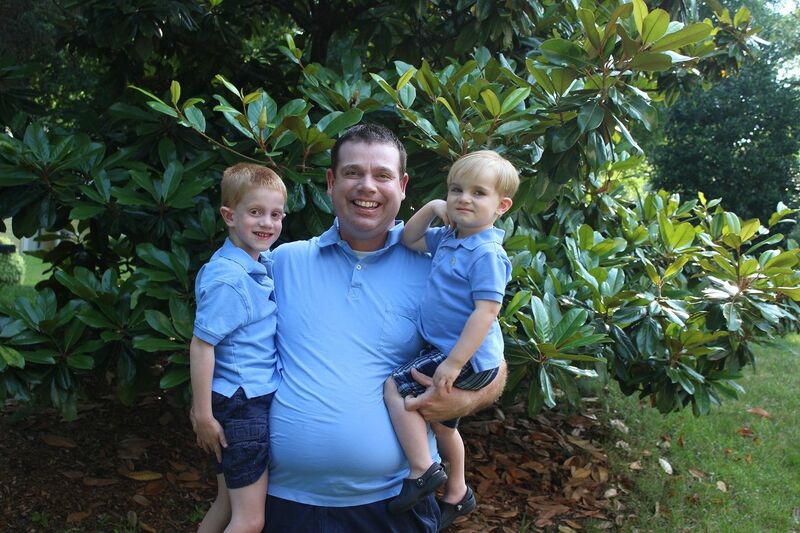 Our Sweet Love Story: Happy Daddy's Day! 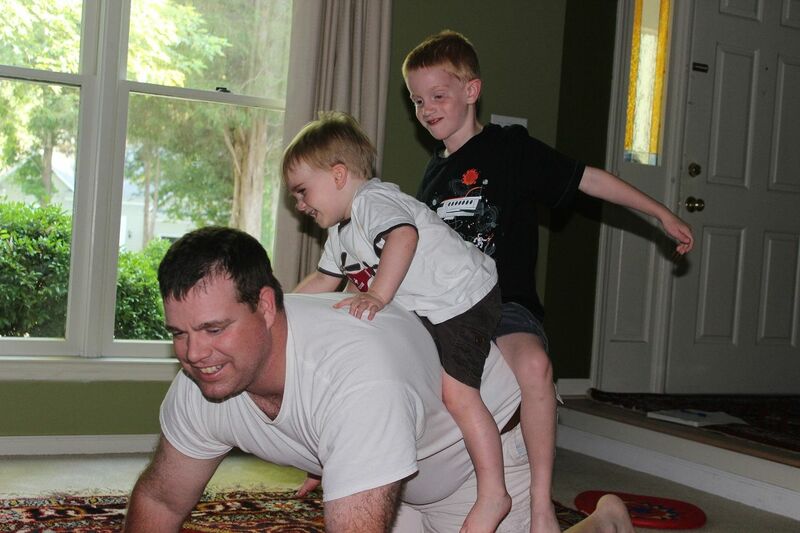 Father's Day started out like most of our Sundays...with the sounds of laughter as Eddie and the boys played downstairs. They always make me a little jealous with the fun they have together. Of course, they do try to include me in their fun as well, and I just love watching them together. 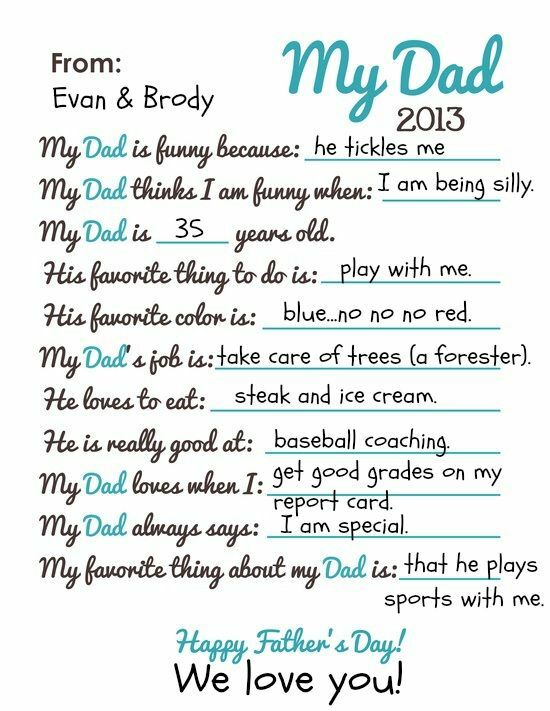 Evan and Brody gave Daddy this cute printable in which Evan answered the questions about his Daddy. He did a really good job. Then, we went to church together and lunch afterwards. To tell you the truth, I can't remember where we ate lunch that day. *Sigh* That's why I hate getting behind on posting. However, I did capture some sweet pictures of my boys together to remember the day. Evan really does know his daddy pretty well although he was almost in trouble when he said daddy's favorite color was blue. He realized his mistake quickly. Daddy is a big NC State fan! 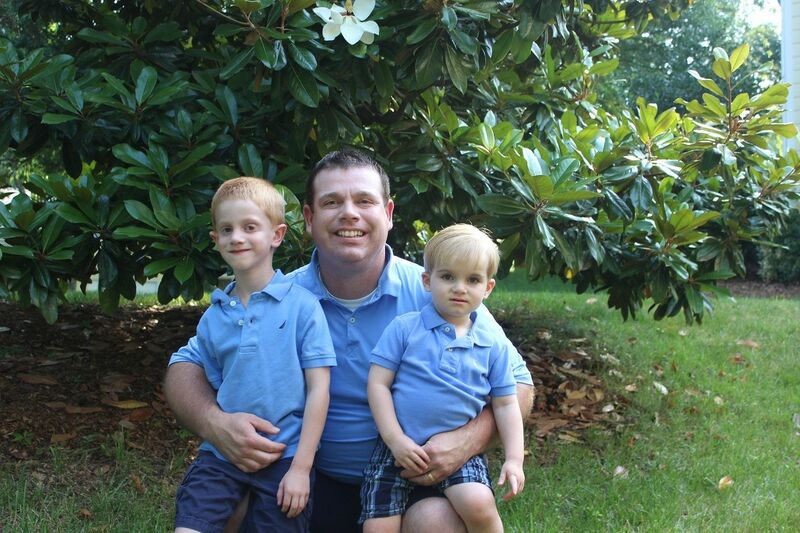 And yet, look what color my handsome boys are wearing. Haha! They do it for me. Daddy wanted to put one on each shoulder to show his He-man like strength, but Evan wasn't having that. He used to love riding on Daddy's shoulders but now he is terrified. Not sure why Brody was doing the more sign, but he was. He must have been hungry. But these are probably my favorite pictures. 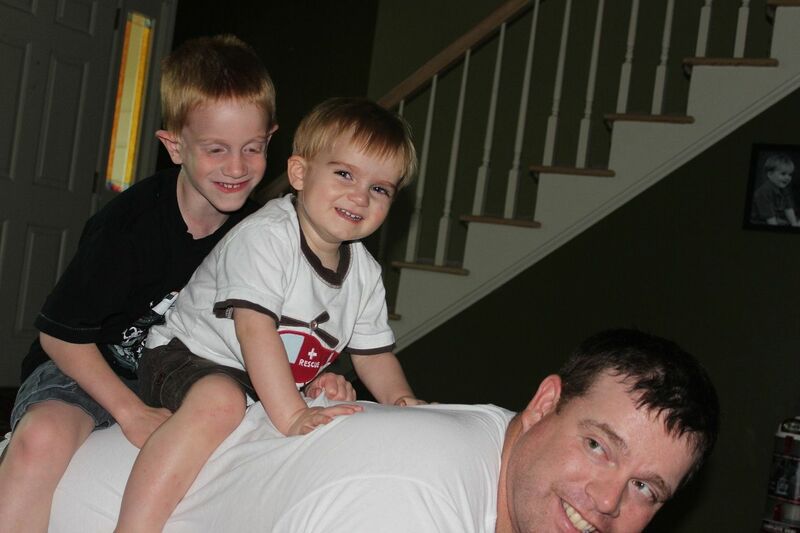 The boys love getting piggy back rides from Daddy. How sweet! I love those last two pictures! Great memeories for those boys when they get older! 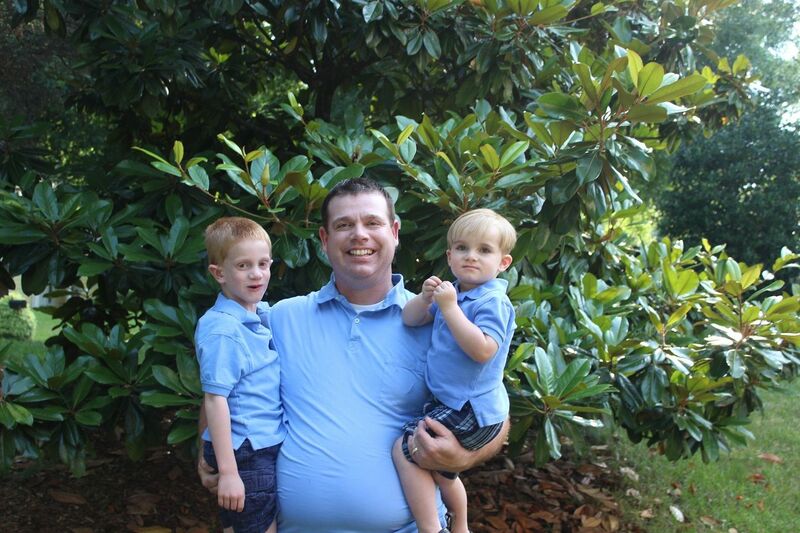 What a great Father's Day! Evan's answers are so sweet! I love that printable. I am totally pinning that for next year! Ha :) And I love watching fathers and their children interact. And don't be jealous Sherry -- they have their own special ways of interacting with you.